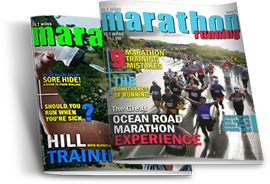 Marathon Running is an interactive magazine specifically focussing on all things related to Marathon and Half Marathon running. We aim to bring our readers quality articles from industry professionals and passionate marathon and half marathon runners. 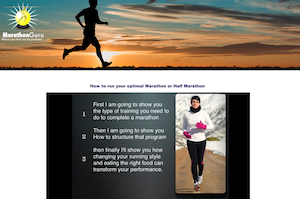 Firstly a huge thankyou for this fanatastic marathon training program and unique initiative. Having just followed the advanced program to train for the Melbourne Marathon, I am stunned by the result I was able to achieve having not run a marathon for 15 years and being only days from my 50th birthday it was incredible to finally achieve the sub 3 hour goal with a massive 27 min. off my p.b.. I think you are delivering the ultimate formula and I look forward to letting everyone I meet know about your terrific program.". It was my first half marathon and when I started the training, I was clueless. But you guys led me to the finish line....One thing I want to know is how the bloody hell did you predict my time?! It was spot on.? Amazing.? You must be psychic. 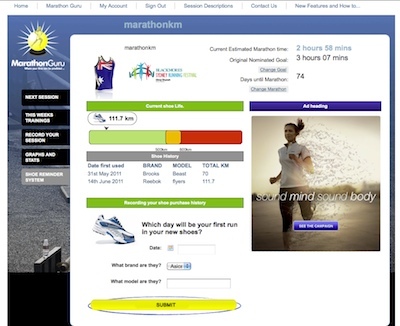 Marathon Guru Launched on the 29th May 2011, here are the emails we have had from users in the first 3 and a bit weeks of Marathon Guru. What's important to remember while you are reading feedback from these users is, we didn't even ask for feedback. Lee Troop's athlete profile can be found here.